At Olivet, you will be among a student body made up of more than 2,600 men and women representing 40 U.S. states, several world areas and more than 40 religious denominations. This International Guide is designed to help you make a smooth transition to Olivet Nazarene University. If you have any questions along the way, please don’t hesitate to contact your international counselor. STEP 1: Fill out the online application to begin the process of applying to Olivet Nazarene University. STEP 2: Mail the necessary documentation items to Olivet. Once you have submitted all the required documents, your letter of acceptance and I-20 will be sent. Making sure that financial matters are taken care of is a very important part of the process of applying to a college or university in the United Stated. School officials must certify that the applicant has demonstrated ability to pay for the costs of his or her education without resorting to unauthorized employment. To view a list of undergraduate costs read our latest sheet. Limited financial assistance may be available for international students. For more information, contact the Office of Financial Aid. Beginning September 1, 2004, a new United States Department of Homeland Security (DHS) rule went into effect. This rule requires F-1 visa applicants to pay a one-time fee of $200 to supplement the administration and maintenance costs of the Student and Exchange Visitor Information System (SEVIS). For more information on the SEVIS fee, visit this governmental website or download this informational PDF. The matter of health insurance coverage for foreign students enrolled in the U.S. is of great importance. Without health care coverage, a student who incurs medical expenses would generally not be able to pay for them out of his or her own resources. Olivet Nazarene University has contracted with the International Medical Group (IMG) to provide health care coverage for our international students. 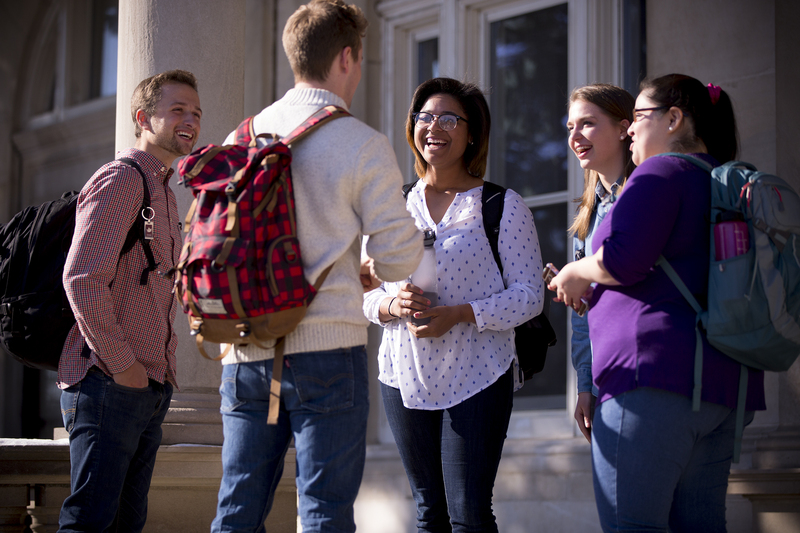 Electing insurance with the Olivet provider is required for admission and enrollment at Olivet. Upon arrival, the student needs to be prepared to pay a health insurance premium per year which will be added to the school expenses. This premium is a part of the expected financial cost of attending ONU as listed on the student’s I-20 documentation. For 2017-2018, students ages 19-24 were $1,020.00 per year and 25 and over were $1,176.00 for coverage from August 1, 2017 – July 31, 2018. Each international student will be enrolled within the insurance program by the International Student Insurance coordinator. For details on the medical coverage, please email us. Students must take care of paying the premium prior to the final day for registration each semester or they will not be cleared to begin classes that semester. The first step is to complete the online application. Have a question about the admissions process? We're here to help! Email us or contact your international counselor today! Find a list of important forms for your application.